Chance was born in Whitefish, Montana, spending his youth in both Montana and Georgia. He attended the Terry College of Business within the University of Georgia. After graduating with a Bachelor's Degree in Finance in December of 2007, he quickly moved back to his roots and entered into real estate alongside his grandfather, Paul D. Wachholz. Paul has been a real estate pioneer in Montana since 1981, and Chance has benefited much by working along his side for ten years. Chance specializes in residential and land sales, development, and luxury home sales. 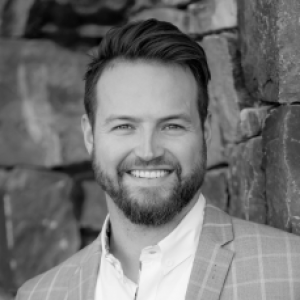 In 2012, Chance continued to improve his skill set by getting his Broker's license, giving his clients yet another edge in the competitive real estate industry. Chance is an avid outdoorsman, enjoying sports such as snow boarding, hiking, running, and mountain biking. He also holds the seven Montana State Open Handball Championships, and most recently acquired his private pilot certificate. Chance has also become a home renovation specialist, restoring neglected homes and improving the surrounding neighborhoods. His entreprenuerial mindset sees disparities in the market and pounces on the opportunity. He has gained extensive construction knowledge throughout the process. If you ask, Chance is more than happy to give you his opinion and vision on what a home's full potential may be! Whether representing buyers or sellers, Chance communicates a high level of integrity, professionalism, and friendship to his clients. Having entered the industry at the beginning of the new, rapidly changing real estate market and working hard through the recession of 2008, 2009, and 2010, Chance has exploded onto the scene in the recently flourishing economy. Call Chance for all your real estate needs!